← If you build it, they will grow. I’ve got “true” leaves so you know what that means, right? Time to repot and bury those stems! By doing so the newly buried stem will begin growing roots, encouraging the development of a healthy and strong root system. 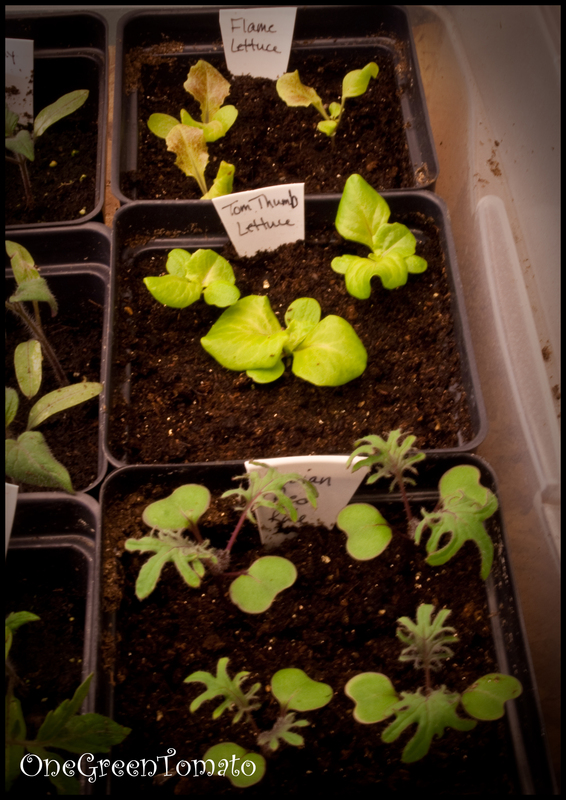 When a seed sprouts the first leaves to emerge are called cotyledons. If there is only one leaf, it’s a monocot, if it has two, it’s a dicot. 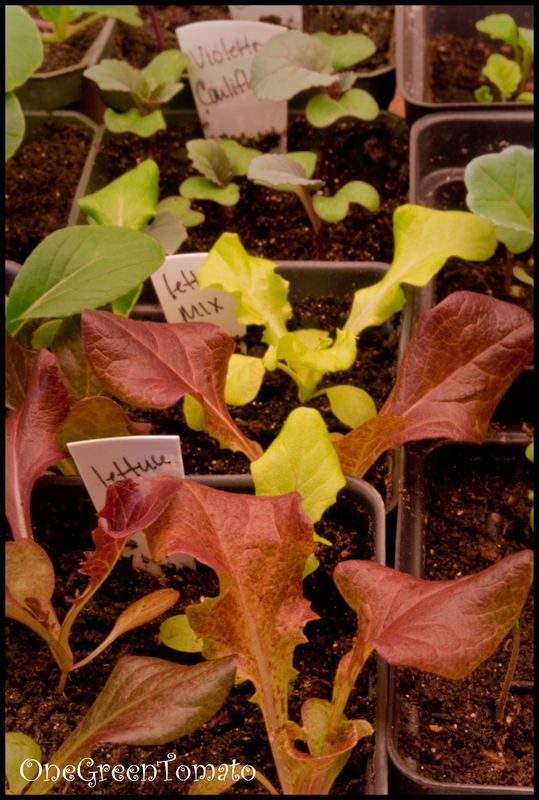 The primary function of those leaves is to serve as a food source for the growing seedling. Now that I have true leaves and my plants are actively photosynthesizing, it’s time to make sure they’re getting proper nutrition! I will now begin supplementing their potting soil with a bit of compost tea. 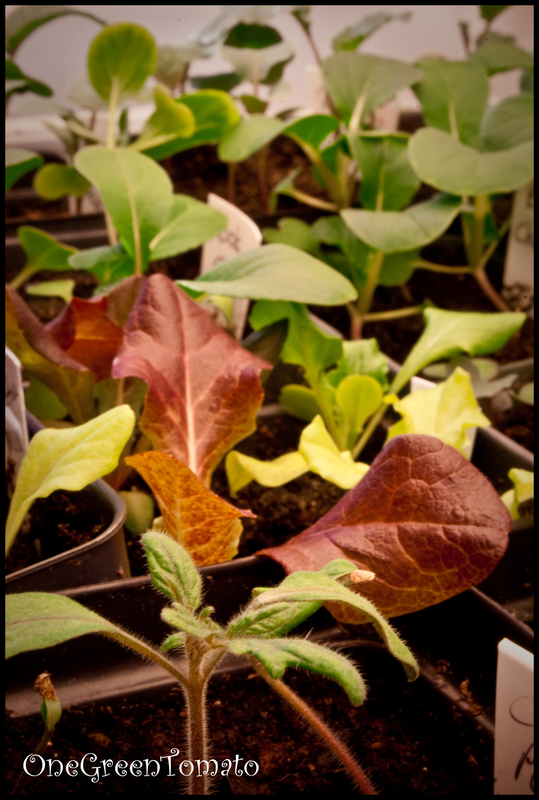 In a few weeks my plants will be repotted again and then make their way into cold frames so that they may begin to acclimate themselves to the cool Spring temperatures. If I place them directly outside, without protection, the cold weather is sure to kill them! 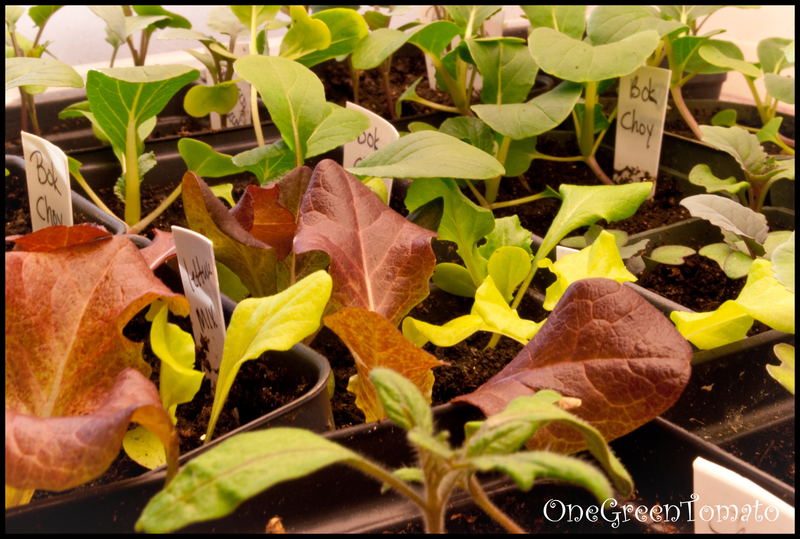 Even though Lactuca and Brassica are cold weather hardy plants, I will harden them off for a few days before placing them into the ground, since they too were started inside and are used to a comfy 76+ degrees (my growing lights kick off some warmth)! I will begin introducing them to the outside world next week. The daytime temps will be in the mid 50’s but the nights will dip into the low 30’s, so they will come back inside once the sun sets. Since we received a good amount of snowfall this winter, and several inches of rain recently, the ground is still very wet! Local tradition is to till and plant peas on Paddy’s day, unfortunately that did not happen this year. If I did any direct sowing right now my carrot, pea and spinach seeds are sure to rot in the ground! I did however inoculate some legumes and started a bit of container planting earlier this week. I was hoping to begin tilling and spreading manure this weekend, but since there is more rain in tomorrow’s forecast I don’t think that will happen. Oh well, there’s always next week!